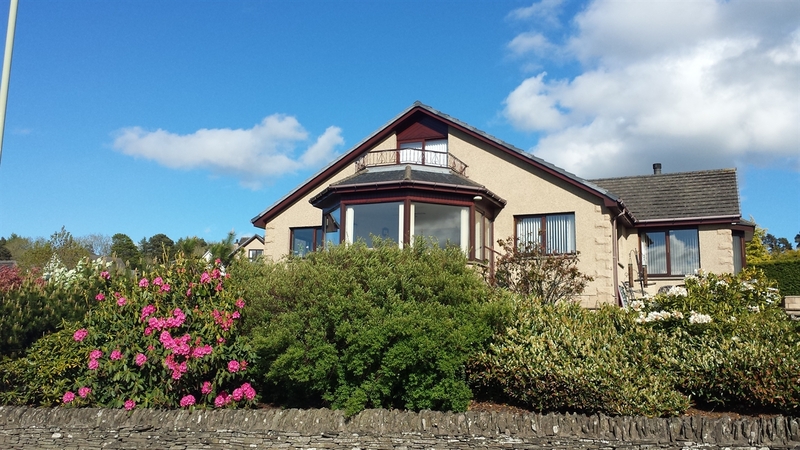 We are a newly opened B&B based in the scenic market town of Forfar, in Angus, Scotland. We are looking forward to welcoming guests from all over to our lovely home with great views overlooking the Strathmore valley. Our house is modern and very well appointed, but still lovely and cosy and homely - we are sure it will feel like your "home away from home" in no time! We are friendly and easy going and have two playful Yorkies called Harley and Marley who will stay with us in our private areas, unless you particularly want to say hello to them! Guests will have shared access to our comfy lounge and dining area. There is a communal large games / multi-media / fitness room at the rear of the house and a sun-house with hot tub and decking at the back of the house. We kindly ask guests not to use our kitchen, utility room or sun-room which are private for us and the doggies. A continental breakfast is included free of charge and we offer a cooked breakfast for £5 per person and evening meals are available if reserved in advance. There are lovely walks from the house up through the woods to Balmashanner Tower with fantastic views of Forfar to the Angus hills and glens. 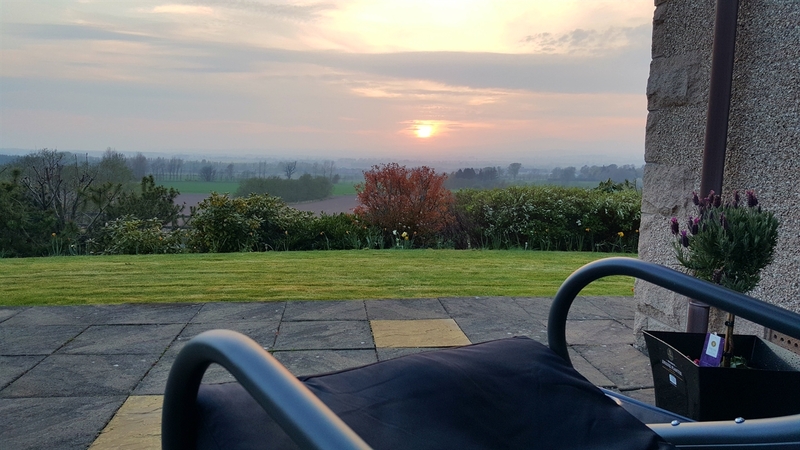 Forfar is also within easy walking distance and has excellent supermarkets, pubs, parkland and a loch for walks, sports centre, farmers market, traditional bakers and cafes. There are pitch & put, driving range and 18 hole golf course facilities in Forfar too, along with tennis courts and other leisure facilities. There are a wide variety of eateries from basic to exceptional local cuisine which we can recommend to you during your stay. Near by we have the Queen Mother's historic home, Glamis Castle (5 miles), excellent fishing at Rescobie Loch (5 miles) and the River South Esk (15 miles). The Angus Glens (20 miles) are superb for walking and the beautiful sandy beach at Montrose (19 miles) is easy to access by car or public transport for some fresh sea air! The pretty costal town of Arbroath (16 miles) is the home to a 12C Abbey and is where Robert the Bruce wrote the "Declaration of Arbroath" to the Pope in 1320. The cities of Dundee, Perth, Stirling, Edinburgh and Glasgow are all easily accessible by car or by excellent bus and train services. Local buses frequently leave Forfar depot for nearby towns and villages. Taxis are available at reasonable cost locally too. Any questions, please feel free to enquire. Looking forwards to welcoming you for your stay! Please contact us for availability of our rooms midweek for special events e.g. oil industry exhibitions! Please contact us for availability of our rooms during golf competitions! Please contact us for availability of our rooms during skiing season!